A new hull and deck, more storage space, a touch-screen display and new accessories highlight these premium three-passenger PWC models. 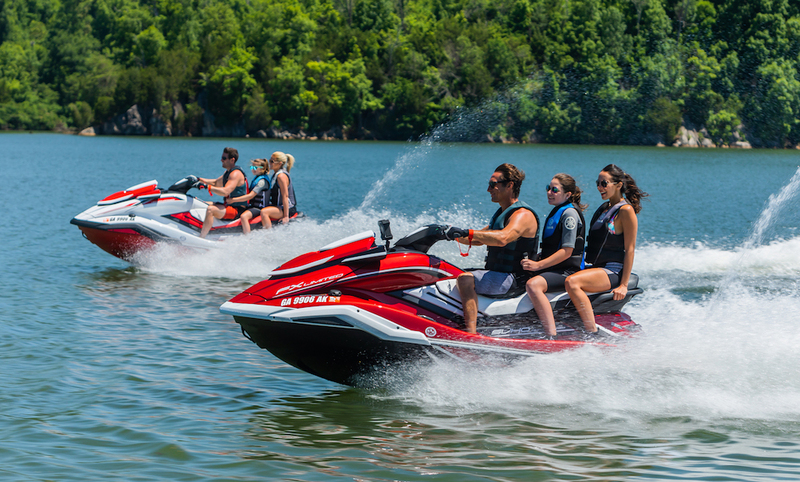 The new Yamaha WaveRunner FX series personal watercraft feature a redesigned deck and hull, color touchscreen instrumentation and a new RAM Multi-Mount System for accessories including a set of Bluetooth speakers. 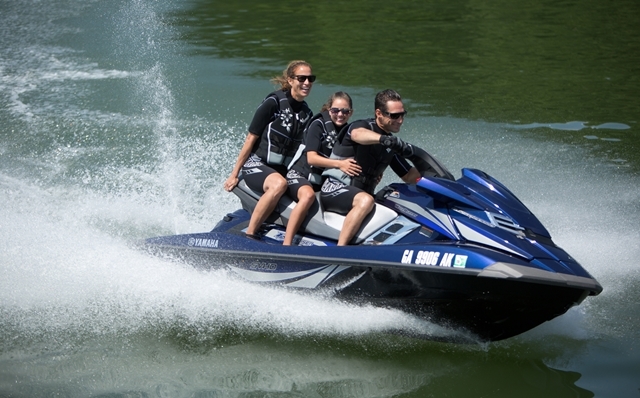 The revamped FX Series includes five three-passenger models; the flagship FX Limited SVHO, supercharged FX SVHO and FX Cruiser SVHO, and normally-aspirated FX HO and FX Cruiser HO. The new FX line will replace all of the current WaverRunner FX models and compete directly with the Sea-Doo GTX/RTX platform introduced in 2017. 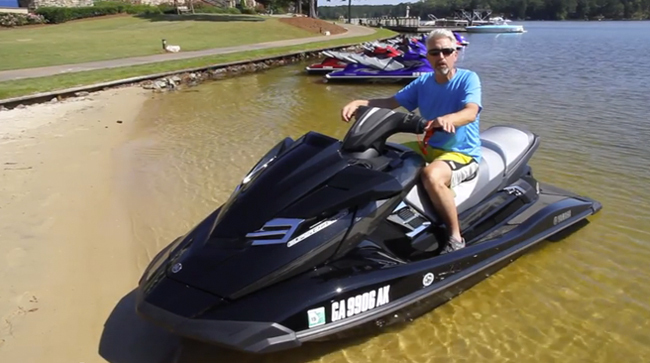 All new Yamaha FX WaveRunner models feature a redesigned hull and deck, with a dashing cover over the bond line. The flagship FX Limited SVHO comes with a supercharged 250-horsepower engine, a one-person tube and related accessories, and RAM Mounts to install ECOXGEAR waterproof Bluetooth speakers and a Garmin GPS/fish finder. The new color touch screen display all instrumentation plus a wealth of other performance and environmental information. 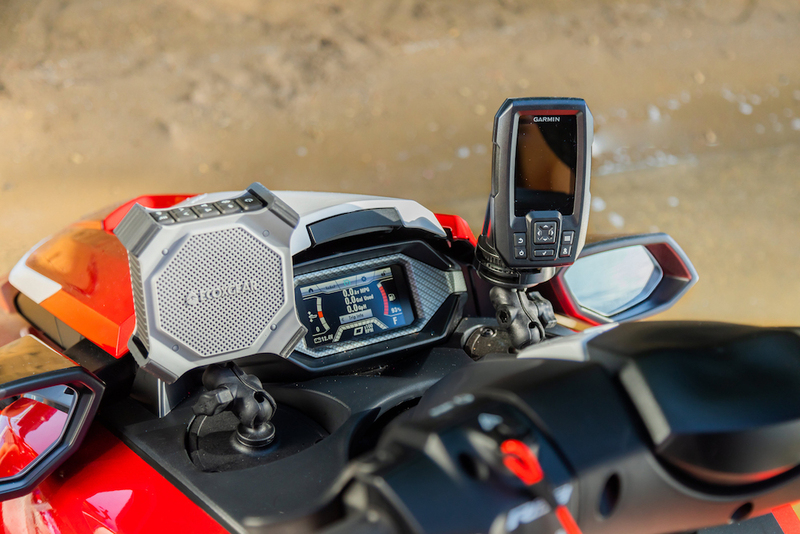 The new 4.3-inch Yamaha Connext touch screen display replaces all instrumentation and the functions of the key fob remote control previously supplied with FX WaveRunner models. The touch functions deactivate when the FX is underway – a good safety feature – but it’s possible to scroll through its display screens with a button on the cowl. The system incorporates Drive Control, which allows the user to limit top speed and control the rate of acceleration. 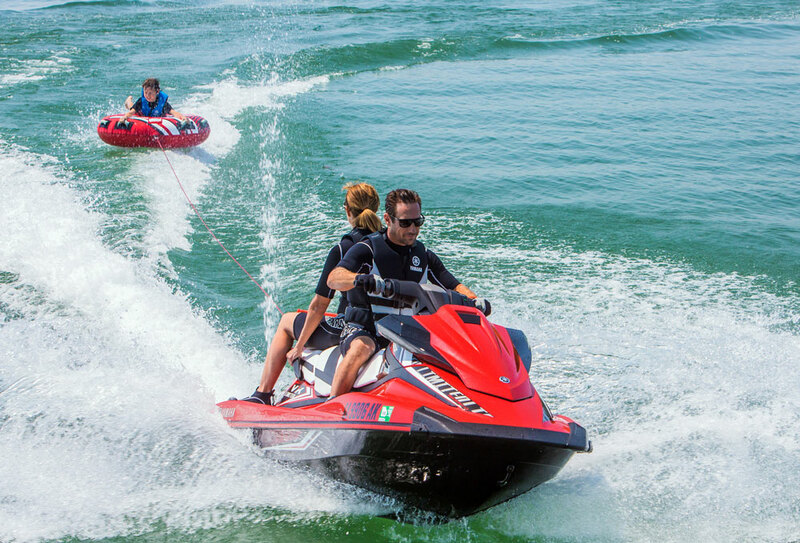 Slowing down the acceleration is a great feature for towing – it’s never good to blast off and flip the kids off the tube. But engaging that feature requires entering a PIN on the touch screen, which is inconvenient. I’d rather have a button on the handlebar to switch to the softer acceleration mode. The PIN is also required to deactivate the ignition as an anti-theft feature. The display is bright and readable in sunlight, but if you have “old eyes” like mine you may wish it was a little bigger and thus easier to read. Inserts that replace the drink holders are threaded to accept RAM Mounts, which can be used to hold speakers, a GPS and other accessories. The new multi-mount system is pretty clever. 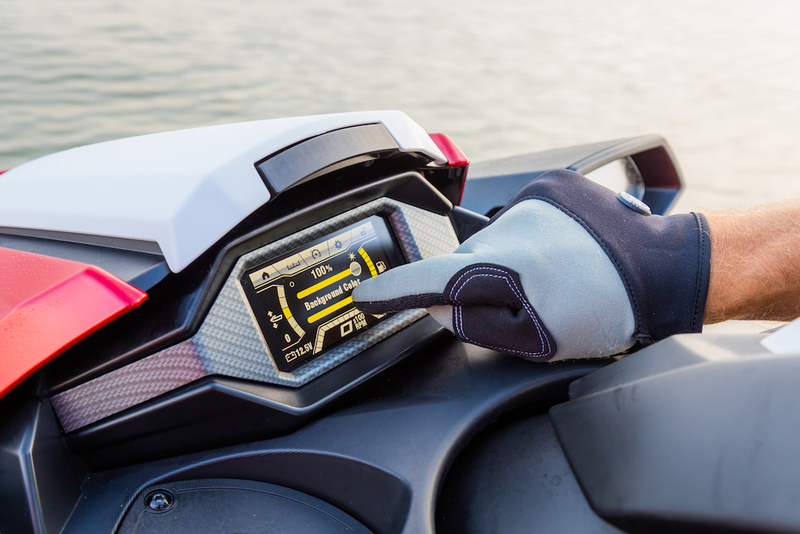 There are two drink holders on the FX cowl between the dash display and the handlebars that can be replaced with “pucks” that have a threaded insert designed to accept RAM Mount kits, which in turn can hold a variety of accessories. Yamaha is ready with two of those accessories, a set of ECOXGEAR waterproof Bluetooth speakers and Garmin Striker GPS Fish Finder. The rechargeable speakers are especially cool because in addition to playing music from a phone they have a voice-activated feature that can be used to place and receive calls; so your boss can call while you are out on the lake. For better or worse. The sound quality is great and, unlike audio systems that are built into the craft, these speakers can be popped off the WaveRunner and used on the beach or anywhere else. Power specs are unchanged from last year. Both four-cylinder engines displace 1.8 liters. 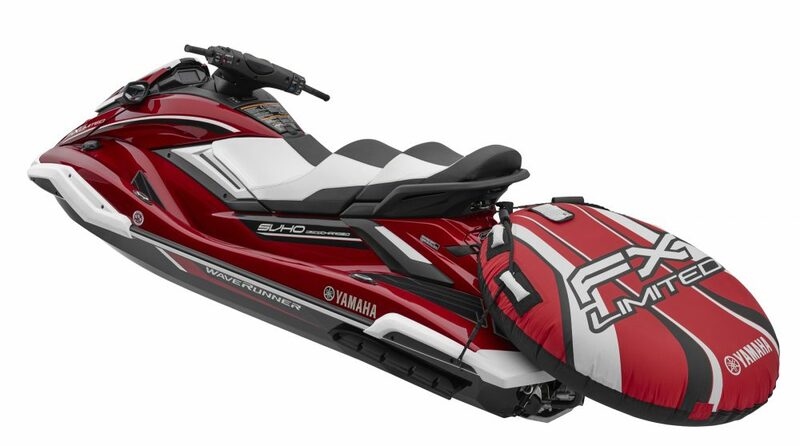 Yamaha does not publish official horsepower ratings, but the normally aspirated HO engine produces about 180 horsepower while the supercharged SVHO version cranks out about 250 horsepower and will take the FX to a 67 mph top speed and accelerate to 60 mph in less than five seconds. The HO engine is happy on regular gas but the SVHO should get premium fuel. All FX models are equipped with the RiDE control system that uses a lever on the left handlebar to engage neutral and reverse thrust, and to slow down the vehicle. 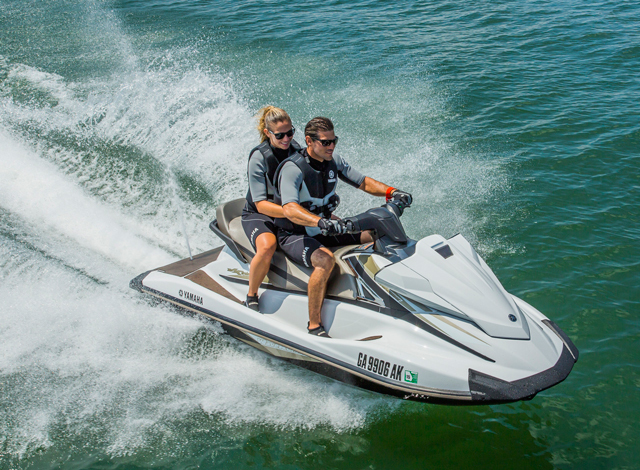 Five-position electronic trim adjusts the handling characteristics of the watercraft on the fly to accommodate water conditions and the weight of passengers. 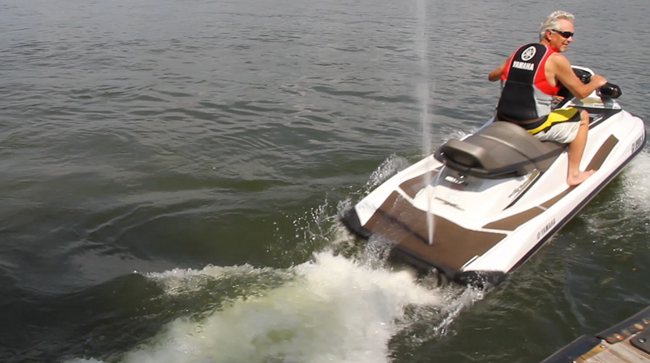 All FX models also have the Yamaha no-wake mode and there’s a new ultra-low speed mode that lowers the reverse bucket just enough to impede thrust and slow down the craft at idle, which can make it much easier to control around the dock. 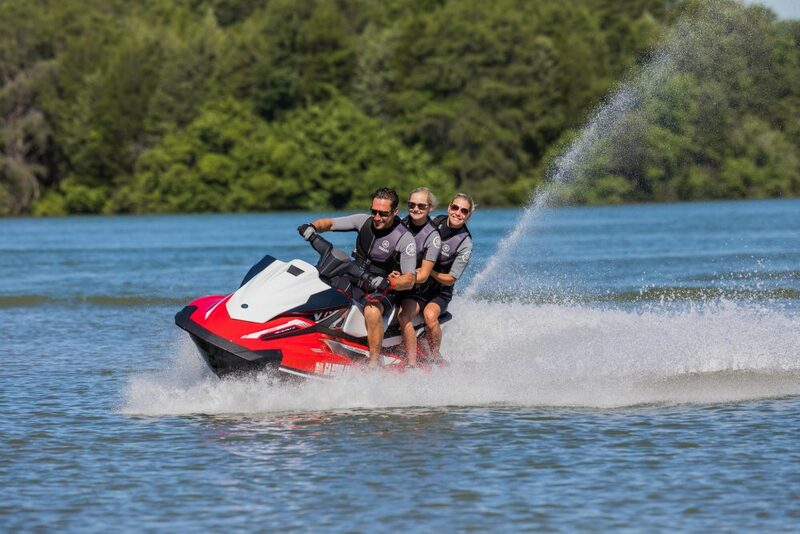 The flagship model comes with an accessory package that includes a single-rider tube, tube inflator, tube holder, tow rope, soft-sided cooler, 12V outlet, cover, and two fenders. The standard Tech Package includes two ECOXGEAR waterproof Bluetooth® speakers, the Garmin Striker GPS fish finder w/ transducer, and required RAM® Mount hardware. 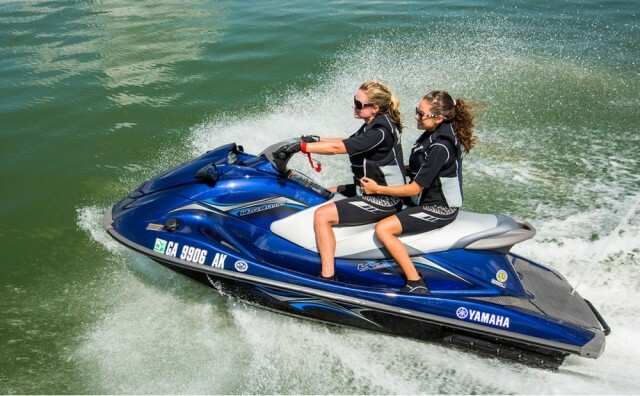 Both models are equipped with the supercharged Yamaha SVHO marine engine.